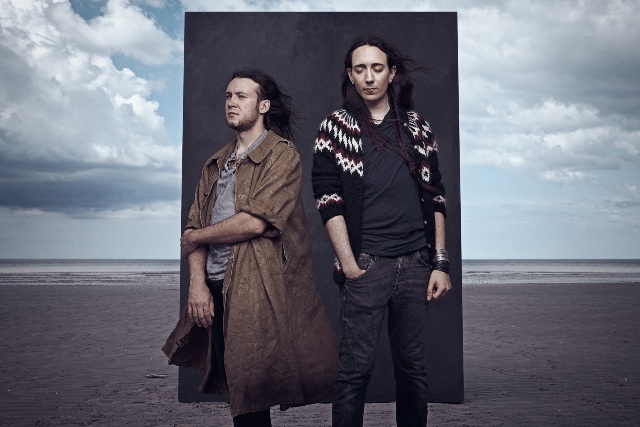 French atmospheric post-metal band Alcest released their latest full-length album ‘Shelter’ in 2014, and nearing the end of the touring cycle for it, they recently concluded a September-October 2015 North American headline tour with support act Emma Ruth Rundle, a run of dates that started in Mexico and included a Los Angeles stop at the Regent on October 7th. 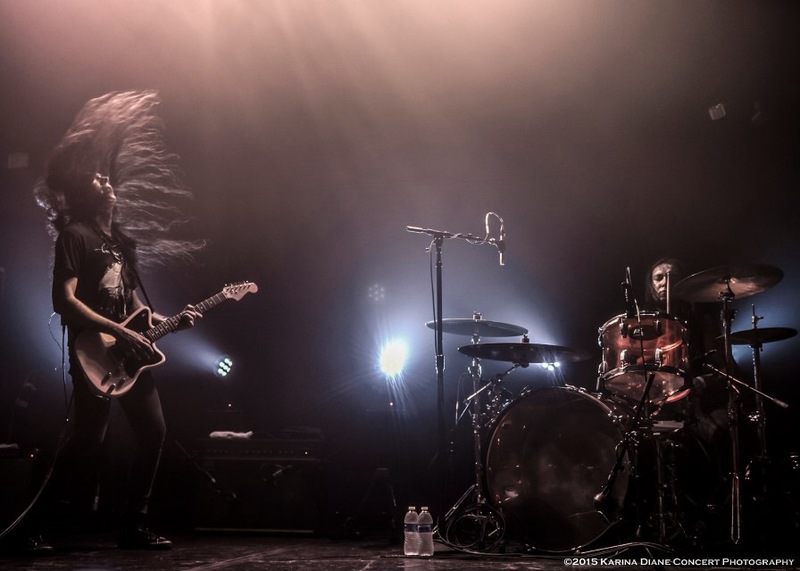 Before the show and straight after soundcheck, I sat down with Alcest mastermind Neige to discuss his first impressions of the Regent, the tour, the band’s experience in Mexico, the support act, his love of the sea, and the status of the next album. Enjoy the conversation below. Neige, how are you doing today? Fine! Very much looking forward to playing tonight. We really like playing in Los Angeles and we are happy to be here. You were soundchecking just before we started this interview, and I’m guessing you’ve never been to this place. What do you think of it and how does it sound on stage? It’s a big venue, so it’s quite good to be playing this room. It’s very reverb-y, so it fits the music quite well. It should be nice and very atmospheric. With your kind of music, the sound quality of the venue is probably more important than it is for other bands. Do you get to specify any conditions while booking shows or anything like that, or do you just have to go with what you find out when you get to the show? We just make sure to pick up a good sound engineer for our tour. That’s the most important thing to do, for a band just in general. You can work with good house guys at the venues, but the best is to have someone that knows your music and can mix it the same way every night. Exactly, that’s a good point. So, you started this headline tour in September. How has everything been going for you? The US is not an easy market, specially for us, because our label is not a very big label in the US, and I feel that if we were on a bigger label in the US it would be easier, but it has been really fine. We played some really nice shows, like Chicago, and San Francisco yesterday was really nice too. I like California, so I was happy that we had a lot of people yesterday. I hope tonight would be nice too. And I think you started this tour in Mexico. People here that haven’t been to Mexico have no idea how great that scene is. I hear all kinds of stories from bands that play there. What was that experience like for you? It was crazy. The first time we played there it was already quite something, but this time it was like twice as many people. We had a lot of crazy screaming fans, and the signing session was longer than the show. We signed for more than two hours. We actually had to leave because we had to go back to the hotel, but every show we try to speak with the fans after we play, and sign copies, because we come from the underground and we respect the fans. They know it, and we don’t even need to tell them. 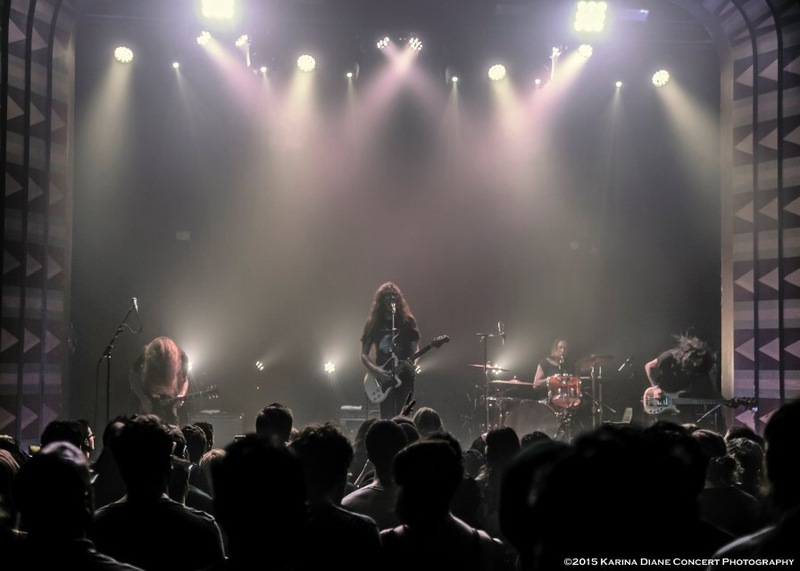 They know that Alcest is a band that’s close to their fans. We sign every album, and we take as many pictures as they want, because without these guys there won’t be any show. What kind of set list have you been doing on this tour? Does it primarily focus on ‘Shelter’, still? Actually we play a lot of old stuff. Just a little bit of ‘Shelter’, and the rest is the back catalog. I haven’t seen you play ‘Shelter’ songs yet, but how are fitting in with the old stuff? Yeah, we already have classics from ‘Shelter’, like the first and last songs, and we have one more song which is already becoming a classic in the set list. So it’s nice, it’s very different from the rest. It’s very mellow, and I think we have enough mellow songs now, so the next one will be a bit harder. That’s something I’m sure all fans can look forward to. Coming back to the soundcheck, you did one song with Emma Ruth Rundle, the support act for this tour. Are you performing a song with her tonight? Yeah, we play a song together every night, and it’s great. I’m so happy that we picked up Emma for this tour. It was such a big surprise, because we have so many things in common, we like a lot of bands, like she is a huge Smashking Pumpkins fan and so am I. It’s quite cool to be able to go on tour with an artist that you respect. So yeah, we decided to play this song as part of her set, and it’s going fine. I’ve seen her perform before and have heard her music. She’s the kind of artist that’s not really heavy metal or anything, but it’s something that metal fans can appreciate. Yeah, it’s quite dark. Her stuff is very melancholic, and it’s quite dreamy too, so it fits very well with Alcest because it’s very otherworldly and melancholic at the same time. Right, the last time I saw you perform was with Anathema at the El Rey, and this time you’re headlining and you have a support act that makes it a good combination. So, people coming to your shows are getting a good show overall, and not just your set. Yeah, and we like to do support tours because it’s easier. We just play a short set and get to relax. It’s less stressful. But of course, it’s nice when you headline because the fans are very into the music, and you can play more songs. So, I was reading a little bit about the concept behind ‘Shelter’, and I believe it’s based on the sea. Why do you feel that the sea is your shelter? It has always been like that. Since I was a teenager, I’ve liked spending time by the sea when it’s warm in the summer in the south of France. I used to spend a lot of time at the beach with my parents when I was a kid, and I kept this habit. I could sit in front of the sea and watch the waves for hours, beacuse it’s very hypnotic. It’s always the same but different at the same time, and when you feel like a bit down and if you go and sit down in front of the sea, your batteries are recharged. It’s really healing to be in contact with the sea, in the summer or when it’s a nice day. We all have things that are helping us. I wouldn’t say that I’m a depressive person because I’m not, but I can have darker moments, and it really helps me. ‘Shelter’ is about that. That’s very interesting. So, on tour do you get to go to the beach whenever you get time? Oh yeah, like when we were playing in Rio in Brazil, we went to the beach there and it was a fantastic thing. It was great, like being on holidays (laughs). We have also been to the Santa Monica beach in LA, and that was cool too. I really like LA because all these palm trees and vegetation that you have, it really reminds me of the south of France. ‘Shelter’ came out in early 2014, almost two years ago. What’s the status on the next album? We have a new album coming soon. We start the recording in January 2016. Once we finish this tour, we will focus on the next record.